Kenyans on social media are not taking any chances when it comes to commenting on something wrong. Recently after attacking president Uhuru on twitter when a video surfaced online as he drove a popular jonourlist around his farm in Gatundu. Kenyans on twitter seemed bitter on the president for disobeying traffic rules as he did not waer the seat belts while driving. 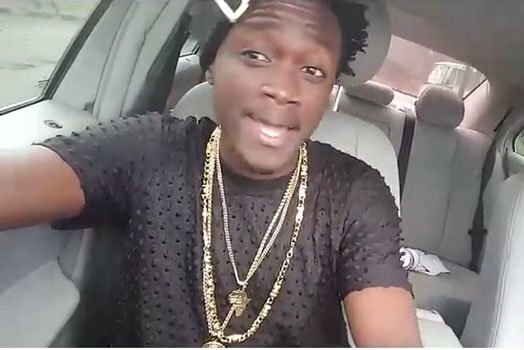 Well popular hit maker Bahati has not been left behind after he released his new hit lover which was recorded while he was driving. Kenyans were quick to notice that Bahati was driving without his seat belts on. Bahati uploaded the video just after the New Year, terming the song Lover as one of his favorite hits of 2015. The 22-year-old had a great year in 2015 as his releases garnered massive airplay on local and international media as he carried out music tours in different countries.